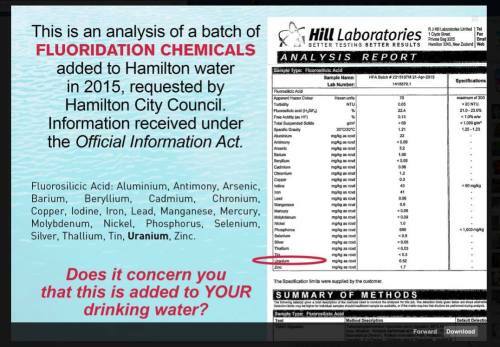 Anti-fluoride activists going on about contaminants in drinking water due to fluoridation have it all wrong. If they avoided their knee-jerk, chemophobic reactions to certificates of analysis and did some calculations they would realise they are making a fuss about absolutely nothing. 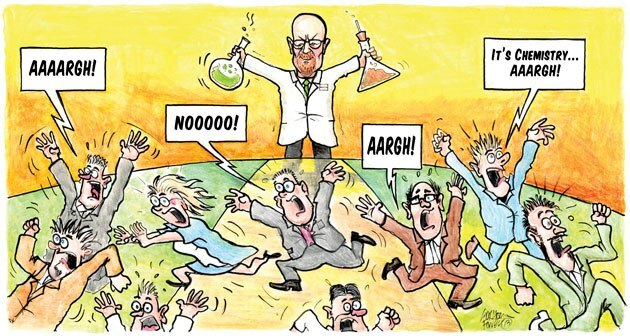 I am currently absorbed in dealing with family issues at the moment so am reposting this article, “Chemophobic scaremongering: Much ado about absolutely nothing.” Unfortunately is is still very much relevant. The contaminations are at levels used in homeopathic medicins at the look of it. Glad to be drinking tank water. As an aside, are the antimony and lead levels rather high in Waikato river water? I have really only looked at the As levels – which are high. But I wouldn’t be surprised if several metals are relatively high int eh Waikato River water because of the geothermal inputs. Really Toni? Done any analysis on its content (biological and chemical)? Toni, just noticed your comment on tank water. Personally, such sources worry me. While public supplies have regular analyses and check-ups – and corrections are made when possible problems are detected – this does not happen with private sources like “tank water.” And there is published data indicating a wide range of contaminants when water is collected from roofs. I hope you get your water regularly monitored. Ken’s right about tank water. Here’s an open access study by myself and colleagues at Massey University and GNS, on composition of emergency rainwater tank water supplies in Wellington City and the Hutt Valley. In the event of a major earthquake, householders may be drinking such water for timescales of weeks to months until the water distribution network can be repaired.